Molds can cause a large number of health problems, but we need to keep in mind that there are more than 100,000 species of them and 7+ billion people in the world who may have individualized reactions to the spores and toxins. Some people are more susceptible to mold, some are less. Some people may have severe symptoms, some mild. We have here divided health problems into three categories: mild, significant and severe. Naturally, some conditions overlap, and some can be in all three categories. This is a general overview, not a diagnostic tool. One certitude is that infants and toddlers are more adversely affected by mold, as are the elderly; individuals with pre-existing respiratory conditions, such as allergies or asthma; and anyone with a compromised immune system, such as someone undergoing chemotherapy and HIV and AIDS patients. Anther certitude is that the severity of the symptoms increases in accordance with how long a person has been exposed and how widespread the mold infestation is. The mildest, and most common, symptoms are similar to those caused by any other allergen. You may feel as though you are coming down with, for instance, hay fever or an ordinary cold. In other words, you are not feeling great, but neither are you ready to check into the ER. Most of these symptoms are the result of the body trying to eliminate the mold spores and toxins. Extra mucus traps mold spores before they can enter the body. The sneezing, coughing, watery eyes are the body’s way of flushing out toxins. It is an example of the body taking care of itself. If your immune system is stressed in any way, or if you are extremely sensitive to allergens, you may very likely be more sensitive to mold than the average person and, therefore, subject to more serious chronic conditions. But even the healthiest person can be at risk, if unaware that he or she is living in close proximity to mold until succumbing to an illness. Any of these symptoms should get you to the doctor. It is difficult for research scientists to report definitively that a particular medical condition is only or primarily caused by mold. We have listed here symptoms that have been associated with mold over the years, because a patient first experienced allergy-like symptoms or any in the mild or significant categories. We’re not trying to scare you, but, really, procrastinating about getting rid of that mold growing in your basement or attic could be costing you your health, in some cases your very life. 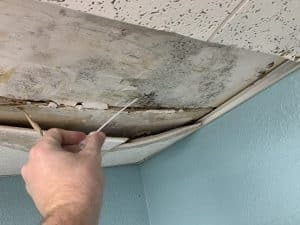 If you are already being treated (and if you are not, you need to be), let your doctor know that exposure to mold could be a factor in your diagnosis. It could very well affect the type of treatment you are receiving. Also, you will never be cured as long as the mold remains in your home. Every trace has to be removed. This article is so important to share with anyone you know that is having long term health issues they can’t seem to resolve, especially unresolved Chronic Fatigue. I personally have dealt with mold illness along with other health issues. Receiving treatment for mold illness was the last piece of the puzzle to regaining my health and energy. I believe so many people with chronic sinus problems are living or working in an environment with harmful mold.